Looking for movie tickets? 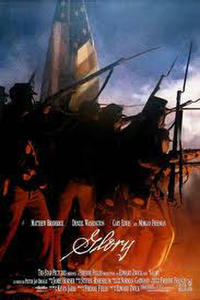 Enter your location to see which movie theaters are playing Glory (1989) near you. Col. Robert G.Shaw (Matthew Broderick) trains, then leads an all-black Civil War regiment. Excellent Civil War movie has graphic violence, profanity.